Even if you’re not a huge gadget fan or a tech enthusiast, picking up new gadgets and modern appliances is always an exciting thing to do. Newer appliances and home gadgets offer more features and new functionalities, all of which make completing different tasks easier. There are a lot of new gadgets to choose from too, especially with the incredible rise of smart home appliances. If the 2018 CES was the benchmark, there will only be more smart appliances to choose from as we venture further into 2018. Sous vide is quickly becoming the cooking method to go for in today’s modern world. The cooking technique isn’t just easy to use, but also very effective in bringing out the best flavors in any dish you cook. Even better, there are a lot of home sous vide machines that can make a great addition to your kitchen. The one you need to be looking into, however, is the Anova Culinary Precision Cooker Wi-Fi. I know the name of this gadget is a mouthful, but the Anova Culinary Precision Cooker really makes cooking using a sous vide plastic bag a lot easier. 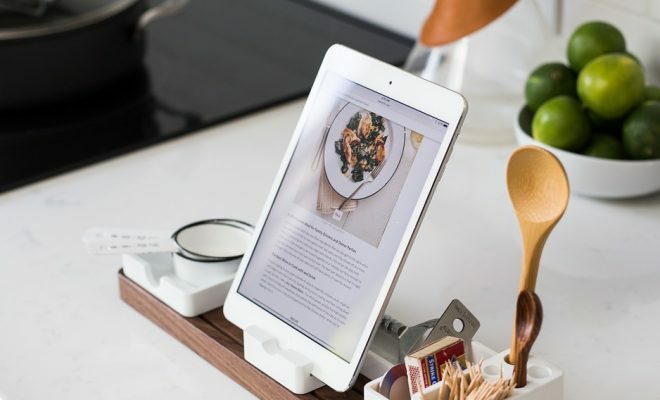 The Wi-Fi function lets you control the cooking process from anywhere. You can set the temperature and cooking time depending on the dish you’re cooking. The mobile app notifies you about the cooking process by sending you a notification at every stage. The dial on the Anova Culinary Precision Cooker itself is also very intuitive. Dyson recently released a series of new-generation vacuum cleaners to the market. There are some very nice options to choose from, but the Dyson V7 series is probably the most attractive. The Dyson V7 is a cordless vacuum cleaner with great power, allowing you to freely vacuum the entire house and reach difficult spots without a long wire getting in the way. The improved lithium-ion battery can now power the device for 30 minutes without fading. Switch to the full-power mode, and the Dyson V7 turns into a powerful vacuum cleaner with extra power. The unit itself is light enough and you can dock it for charging once you are done cleaning the house. The Dyson V7 is available in different kits, so be sure to read the Dyson V7 review before picking one up for your house. Adding a smart hub to your house is the first step towards building a smarter home. There are several interesting smart hubs you can choose from, but the original Google Home is the one you want for several reasons. For starters, Google Home is compatible with more smart appliances and gadgets than ever. You can control your thermostat, the lights, the smart locks on your doors, and other smart appliances using voice command. You can control the same appliances from your Android smartphone too. Long-term development is another reason why Google Home is the smart hub to go for. Google is actively working with manufacturers and OEMs to make more devices compatible with its system, so it is only a matter of time before your favorite gadgets become compatible and you can have an integrated, entirely smart home.